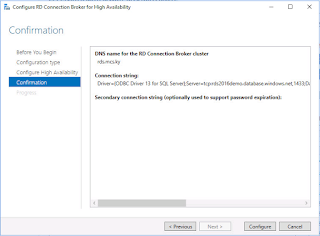 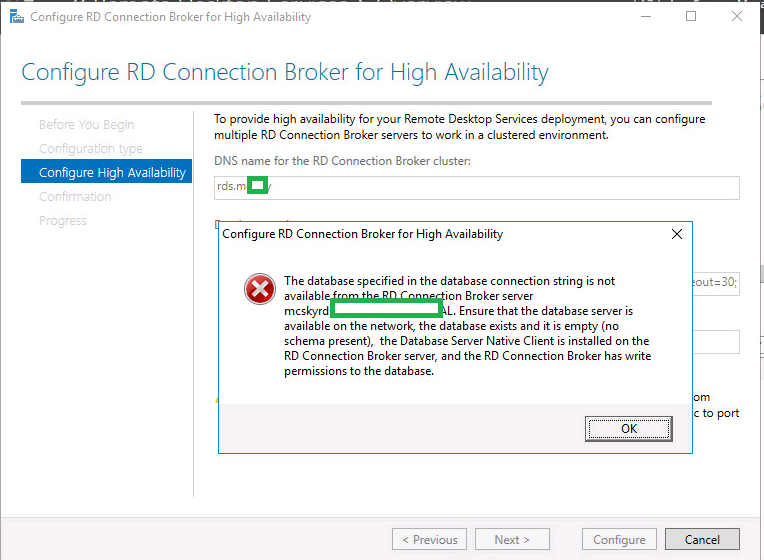 Ryan Betts, Cloud Solutions Architect: Connecting Server 2016 RDS Connection Broker to Azure Database fails with "the database specified in the database connection string is not available from the RD Connection Broker..."
Connecting Server 2016 RDS Connection Broker to Azure Database fails with "the database specified in the database connection string is not available from the RD Connection Broker..."
"The database specified in the database connection string is not available from the RD Connection Broker server. 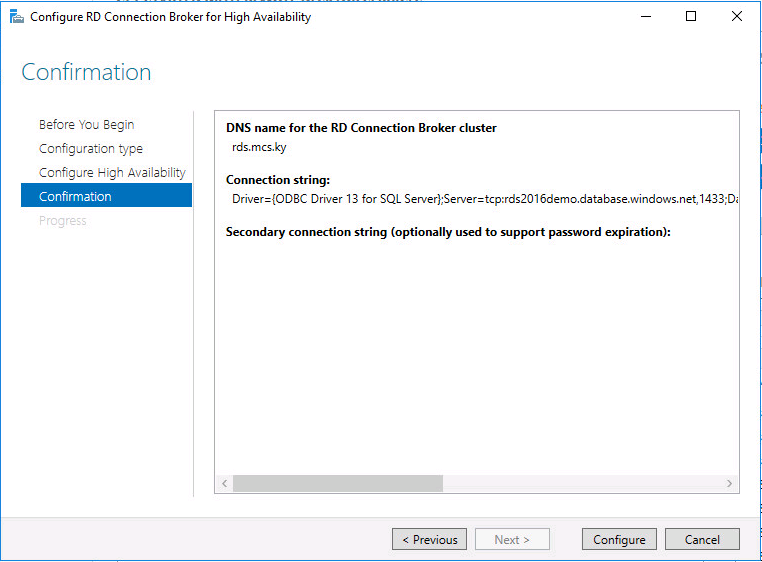 Ensure that the database server is available on the network, the database exists and is empty (no scheme present), the Database server native client is installed on the RD Connection broker server, and the RD connection broker has write permissions to the database." The error was caused by a firewall configuration on the Azure side, to alter the settings you must click the Firewall tab of the SQL Server (logical) in Azure, then enable the setting Allow access to Azure Services. 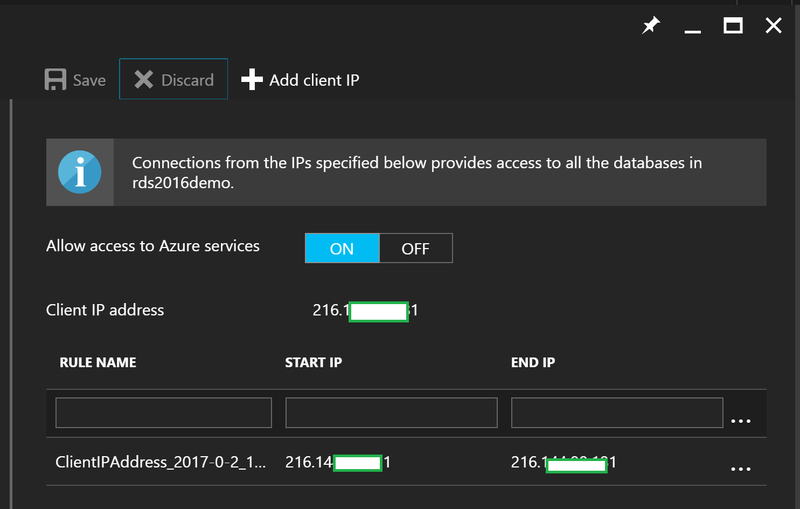 In addition to this click the Add Client IP option which will automatically populate an inbound firewall rule to allow incoming connections from the IP address you are currently accessing the portal via. 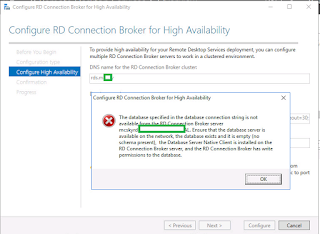 When you try to continue with the RDS installation the wizard will get past the error message.